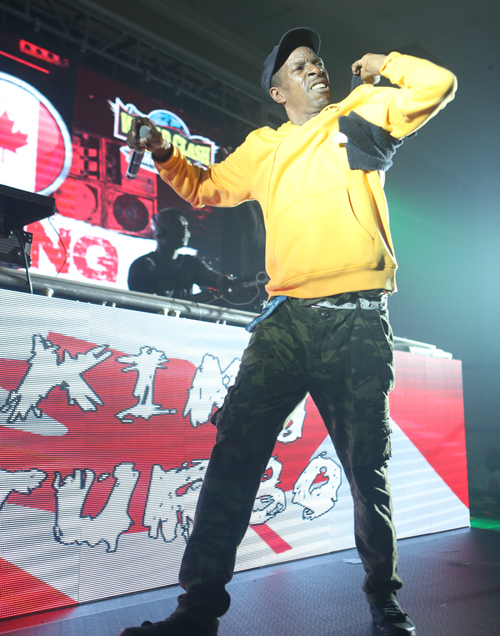 Toronto, Canada - October 2017 - While the wee hours of Sunday morning approached on a mid-fall weekend in Toronto, Canada, a new era in sound clash entertainment and the Irish and Chin World Clash brand was officially ushered in, as rising sound systems scored unprecedented, highly competitive performances on sound clash’s most renowned stage! Further catapulting the clash's excitement to another stratosphere, was the amazing repeat victory of Canada's King Turbo sound system! A sold-out crowd, loads of pay-per-view subscribers and audio that reached thousands of listens just hours after release truly reflect World Clash's enormous buzz. World Clash promoter Garfield "Chin" Bourne says, “World Clash is the longest running brand of Jamaica's indigenous sound clash culture.” “My goal is to continue highlighting the importance of this art form and to ensure that it remains relevant for generations to come. For contributions to be remembered, one must be able to make a mark. I believe World Clash 2017 has done just that,” Bourne adds. King Turbo once again proved they have a winning formula when it comes to "warrrr" and killing sound boys. But please believe that the most deserving winner put up a fight to edge out the clash's contingency of surprisingly well-equipt sound systems including Euro Rumble champs Northern Lights (Italy), Japan Rumble champs Fujiyama, U.S. Rumble champs Platinum Kids and the Caribbean wild card Poison Dart (Antigua), all hot topics since the epic clash was staged. Although UK Rumble champs Platinum Cartel and Canada Rumble champs King Attarney had notable selections in early rounds, they couldn't quite keep up with their competitors, resulting in early elimination from the clash. One of the night's best kept secrets, Northern Lights, left an indelible mark on the massive crowd. It’s more than fair to say that Fyah Ed, Northern Lights' MC, had the most hard-hitting speeches of the night, backed by numerous "bless" tunes that landed lots of forwards. Their performance kicked off with a sizzlin’ Romain virgo dub. Even extra appealing with the sound was their female mixer Michele, who has undoubtedly mastered her craft. Despite having to follow such a powerhouse sound as Northern Lights, Fujiyama "buss" the dance time and time again. They amassed many forwards, with a red-hot Popcaan dub on the buzz riddim reigning as one of the crowd favorites. 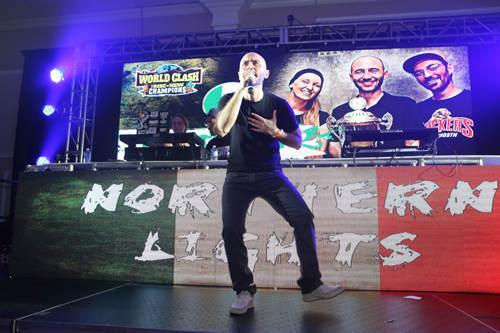 A sudden death face off between Northern Lights, Platinum Kids and Poison Dart proved to be a climactic moment of World Clash, especially since energy was already at an all-time high with sounds delivering rapid fire sets. As fate and World Clash fans had it, the heated face off saw Poison Dart's elimination. With four sounds remaining in the fourth round, an electrifying musical war ensued, causing King Turbo, Fujiyama, Platinum Kids and Northern Lights to go even harder than before. King Turbo thrilled the audience with classic Hip Hop dub plates, which are some of their sound's biggest anthems. With Ricky Turbo stepping high and Slingshot dropping nothing short of certified bangers, it seemed that the Canadian sound champions tasted victory way before a tune-fi-tune. Despite hard work and respectable rounds, Fujiyama and Platinum Kids were eliminated. 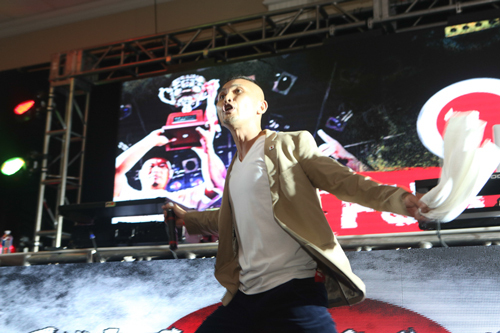 Before a massive hype crowd, a very memorable tune-fi-tune erupted on the World Clash stage, resulting in King Turbo and Northern Lights fighting for the coveted World Clash trophy. With multiple song wins, it seemed that King Turbo would sweep the "tune-fi-tune." However, Northern Lights leaned on music knowledge, guage of the crowd with a little instinct to drop a few heavy winning tunes, enough to almost catch up. 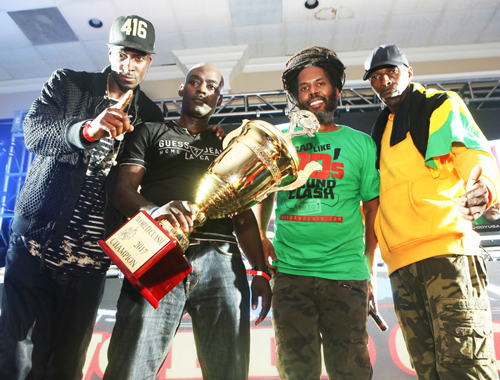 King Turbo, who was determined to keep the trophy and World Clash in Canada, couldn't let it go down like that and dropped their final winning selection, the most befitting "Burial" by Andrew Tosh!